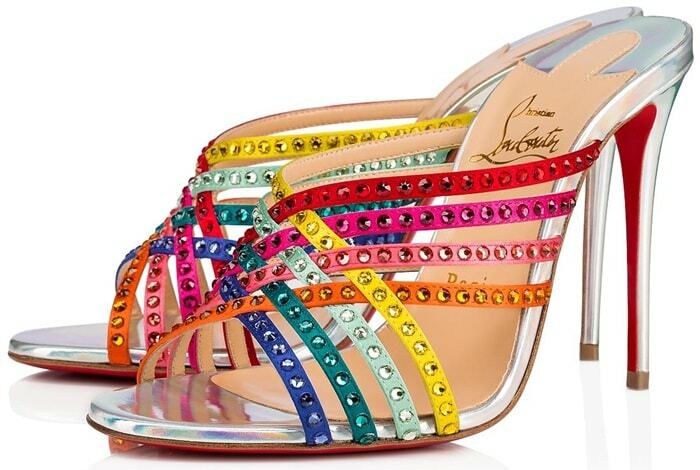 Intertwined with multi-colored strass adorned vamp straps, the open-toe Marthastrass sandal from Christian Louboutin raises its arch with the help of its 100mm stiletto heel, crafted in multicolored silk-satin, silver iridescent leather. 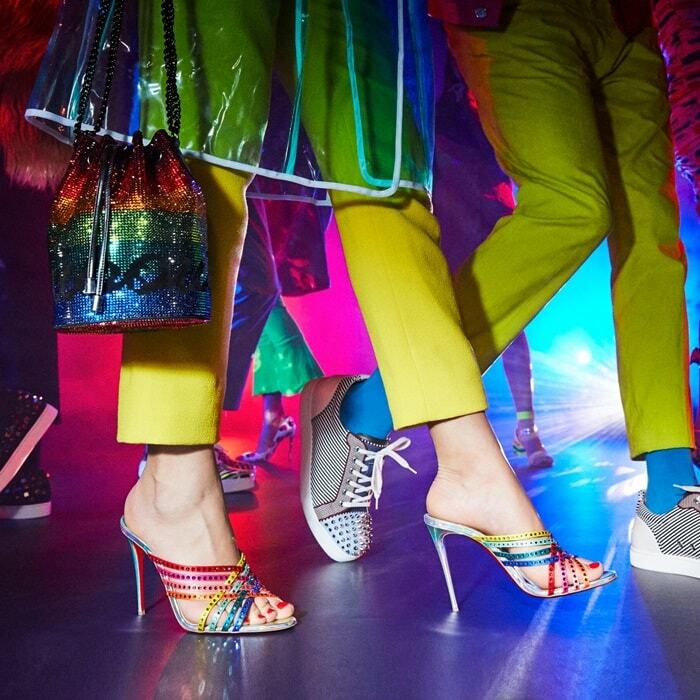 The shoe has mule overtones, displaying expertise and luminous details. Bejeweled silk straps intersect in a spectrum of colors at the front of a cheerful slide sandal bearing an iconic red sole.